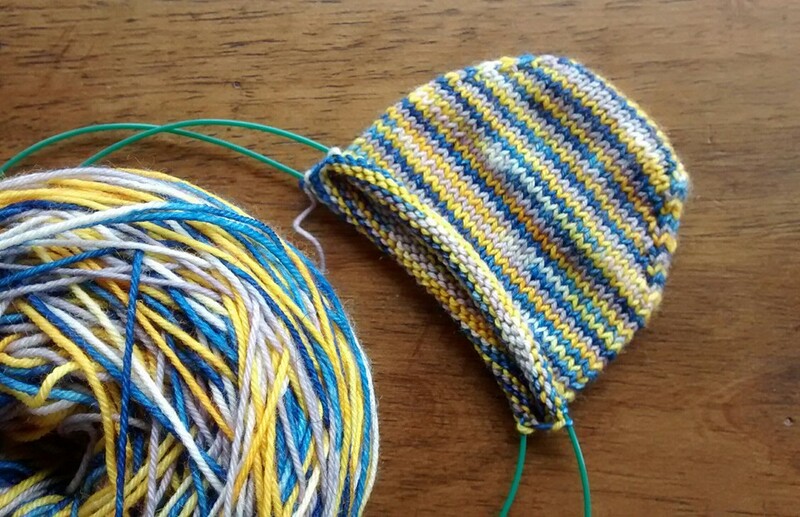 Last year, I was all about knitting socks. I don’t even know how many pairs I completed (but they’re all tagged under Socks if you have any interest in checking them out). This weekend, Sean and I are making a short trip up north to visit with some family, which means several hours in the car on the 101. I wanted to bring a project with me to pass the time, but any one of my WIP crocheted afghans would be too unwieldy in the passenger seat. This is where sock knitting becomes an especially useful hobby. With about 8 hours of driving ahead of us, this sock should be done by Monday.